Our lives got suddenly insanely busy this week. This is unusual for us. We typically like time margin in our lives to make room for the unexpected and often those times are the sweetest. I also tend to not handle constant busyness very well. Having said all that, we felt like we needed to add a five week commitment to our schedule. David and I are facilitating the Love & Respect DVD conference again at our church. We feel so strongly about this marriage course that when we were invited to participate, we didn't want to say no. We're very blessed that one of David's co-workers and his girlfriend are attending along with half a dozen couples from church and even a young single lady. We are expecting God to do great things again! I hosted a tea tasting this week. I am not a tea expert, by any stretch, but I have a fairly large tea collection that often intimidates people and thought I'd share my love of tea. We steeped four types of teas for the "official" tasting then each lady was invited to select any tea from my collection to try. It was a late night, as I felt I needed to put the children to bed first and start a little later to let other mothers do the same, but I enjoyed the company immensely! Two ladies brought me lovely gifts, which was incredibly thoughtful, unexpected and thoroughly enjoyed. Patty~Jean brought me a lovely fruit and chocolate basket and included some of her amazing home-made deodorant.... love, love, love! Kelly brought me a stunning glass tea infuser thermos with a sample of her current favourite tea. I'll have to get that name for you, because I have forgotten it's name. I do know that she got it from the local David's Tea shop, which she has highly recommended. Jenni, graciously came early to help me set-up, she even took out my garbage... now that's true friendship! Love you, ladies and all the ladies who came! 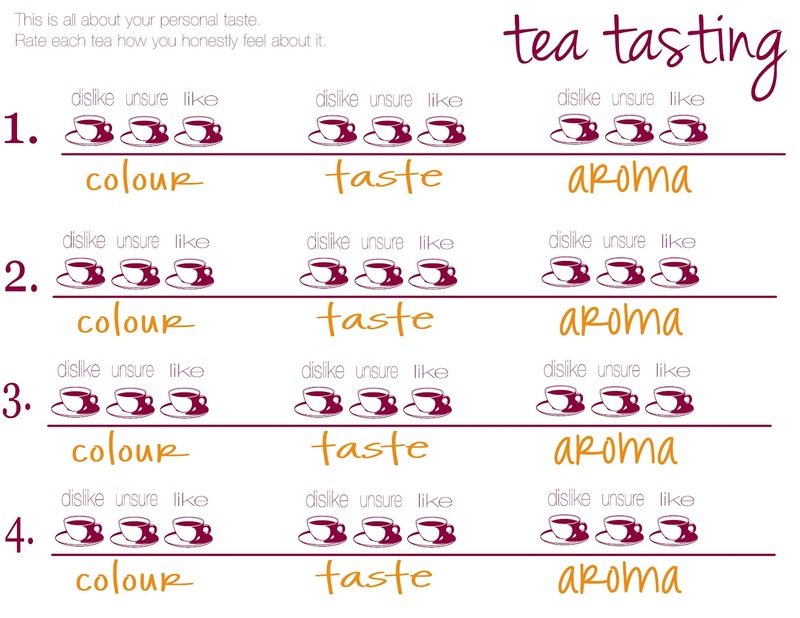 Here's the little rating card I made for the tasting. 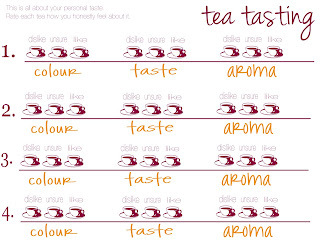 Nothing complicated or formal, just a fun little thing to rate the teas. I am continually blessed by the community of people we've been blessed with here in Winnipeg. I love seeing God's love in action! Our Ladies Morning Out group hosted a mini shower/blessing for the newest baby in our group. Our Housegroup (Bible study group) went bowling together last week and we had a blast. I can hardly wait for church on Sunday mornings and ladies retreat next month... these beautiful people have become very dear to me. And speaking of Winnipeg.... have you seen this video? Love it! Slowly getting settled into our new home. Here's some pictures of Abigail's room which is finally set up, though not completely decorated. I want to make her some matching curtains and bedding and possibly even a canopy for her bed. She's very proud of her new room, though. Malachi is still surrounded by boxes in his room, but we're getting there. 25 weeks pregnant and I've already gained half of the recommended weight gain. Yikes! I need to be careful with my sugars again. Feeling pretty good, aside from tired (though that's a very familiar feeling). All of my creative efforts are currently going into the fundraiser for ladies retreat. I'm not sure I'll get to any sewing today as I have a mountain of laundry to get to, but we'll see how it goes. Thankful that David and I have tonight to spend together. It's been a busy and long week. Hope you have a great weekend plans and enjoy them! Very good update my friend. Sorry I couldn't make it to your tea party. Sounds like everyone had a lot of fun. It's always nice to get together with a group of ladies and just play like we did when it was all pretend. LOVE your notebooks. What a creative lady you are. It was a delight to visit your new home and hear, taste and see your lovely teas! I forgot to mention, my intention with the fabric wrap was for some dance play for the 'littles'....scarves and floaty fabric are our most popular play items in this house. I'm constantly warning the children, don't step on them on the hardwood floors!! !